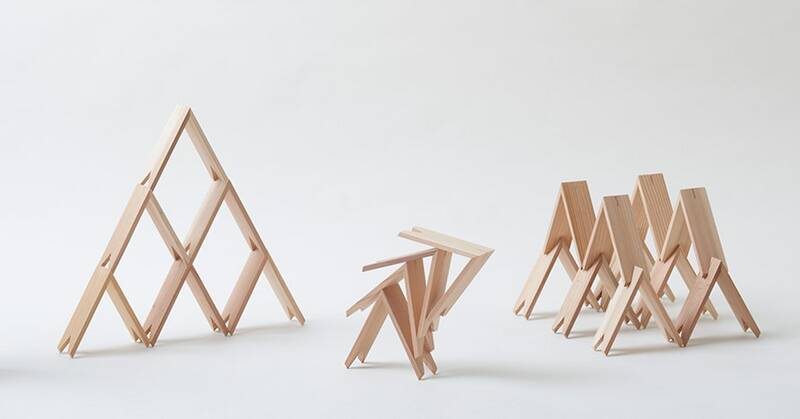 Architecture firm Kengo Kuma and Associates made them, and they look like bent popsicle sticks. This would be an easy design/build and will probably be the first thing I make. You might want to make the little tab at the top a little wider. It looks a little flimsy. Also, you have a lot of overlapping lines. Meaning, the laser will most likely cut those lines twice. I’m not sure how to remove duplicate lines in Inkscape, but you may want to look into it. You could also design your parts so they have 3 sides, and assume the part next to it fills in the fourth side. Then you only have to make a line on the end where there are no more parts. Did you take into account the kerf of the laser (thickness of the cut). If you don’t care about that, there is probably a better layout where the two parts are on top of each other rather than side by side. I think I can fix the overlapping lines with pathfinder. Didn’t think of that until now. I’m going to glue it so the tenon is more of an alignment tool. It’s at 1/8’’, which was the thickness I wanted to use for the stock. I have it set to do them at 90’s, but it should really be about 60 degrees, I think, just from looking at the photos. Disc sander at 30 degrees should do it. I have had this question before, and forgot about it. I grabbed your file, and played with it. Then I Ungroup’d three times, and pulled the bits away from each other to make sure it had worked. It seems to have worked. I could be missing something here, it is getting late and I am past closing time. Hadn’t thought of doing it this way before, because the old plotter software that I used required closed paths. My current plotter software does not need closed paths, and neither does the Glowforge (i assume). @KyleQuinn let me know if this works for you, or if you found another way to do it. I love this kind of stuff, and it is totally something I’m going to try to do when I get my Glowforge. I love little stuff like this. Pathfinder is a tool in Illustrator, I’m not sure if Inkscape has anything similar, ask around on those more familiar with it on the forums. I did solve the issue. I just re-did the lines and made the horizontal rows as a “single unit” (using the pen tool to reconnect the points where needed) and left a gap between the rows. Fingers crossed. I have a second layer with just a few blocks so I can test out the design and make sure it knows how to cut it…but keep in mind, I’m very new to laser. They aren’t technically closed paths so I don’t know if it will work. So for now it sits–Idle on my desktop. Well these are beautiful - going right into my inspiration folder! Thanks for sharing! I haven’t used inkscape, so I can’t test for you, but I found these two links for you. It looks good, and the kerf considerations and duplicate lines comments are spot on. But go one step further on the duplicate lines. Any shared line you need to set as a different color from the non-shared lines. Cut the shared lines first, then cut the non-shared after. Ideally, when you do the cut you have flat material on a flat surface, and nothing moves. In most real cases though, there is some curve to something somewhere, and when a piece is fully cut away from the bulk material, it will drop down a little bit. If this small drop happens before the shared cut, you are no longer lined up properly, and you are out of focus. So, you cut all of the inner lines first, so that nothing breaks free. Then you cut all of the remaining lines so that everything pops out. There are ways to leave small tabs which you will exacto knife cut later so that nothing ever pops free before the cut finishes, but I do not see that as a requirement in this case. Have a look at my mini tutorial. It may help. Interesting… when I played with the file last night, this was the first thing I tried, and it did not seem to have worked, which was why I went to the Live Paint/object direction. Now, trying it again, I cannot repeat my failed attempt. I must have been a lot more tired than I thought I was. Oh well, thanks @ian. using the pathfinder>outlines seems best for this, because it split each of those vertical shared lines into a single node-to-node path, as opposed to the live paint method which created fewer but more complex shapes. Having done the pathfinder>outline it was then easy to select the entire row of shared lines and change the color (or layer, if you work like that). 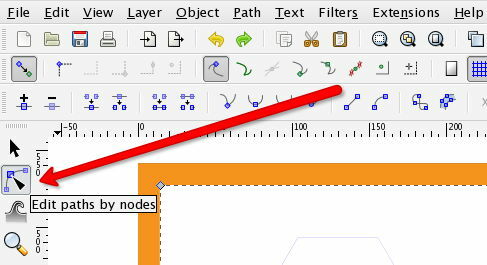 I’ve downloaded and installed the Remove Redundant Edges extension for Inkscape but it is not working as I expected, as in not at all. Will keep trying to figure it out and read through the python to see what it calls for the work. Anyone have any success? One of the suggestions in the thread used Live Path Effects. I went down a rabbit hole with Live Path Effects and it seems like it’s a feature that is not built in to the normal package. Let’s just say this is a work in progress then for Inkscape. Maybe all us Glowforgers will be able coalesce around some extensions that beef up the laser abilities. There are some good ones right now and work is continuing. Wish I were a contributor to some of these open source projects and not just a user. I have to work on that civic duty and be a better member, at least join the forums and participate there. This is really cool! Copying @tony because he likes threads where folks show their work. This is great, guys. Thanks so much. I’m going to be brand new to laser cutting, when it gets here, and I’d like to get the error out before the trial…as much as I can, anyhow.